Why is World of Warcraft losing subscribers, and how can Blizzard fix it? 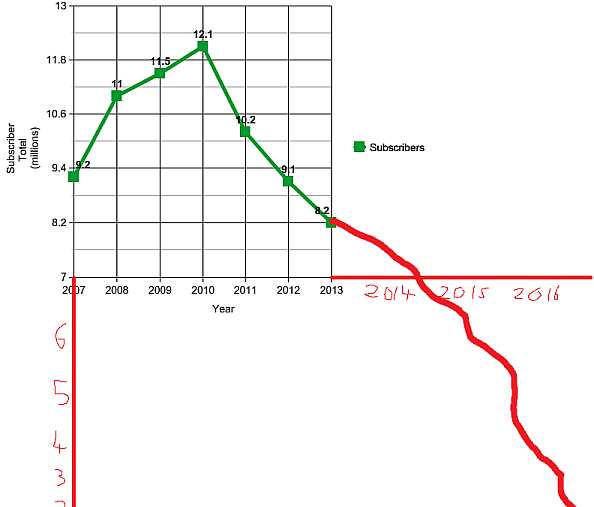 Yesterday, we learned that World of Warcraft’s subscriber numbers are falling. Again. At its peak, World of Warcraft reached over 12 million subscribers; today, that number is at 8.3 million, and Activision and Blizzard expect subscriber numbers to decrease further. What’s going on? Why are people quitting WoW, and can Blizzard halt the decline? Let’s be clear. World of Warcraft’s success was and is an amazing thing. To have that many players across the world, for so long is incredible. 8.3 million subscribers is still a very big number, the biggest number in subscription games. But look: here’s a terrifying graph we knocked together in MS Paint to prove a point. World of Warcraft’s subscriber numbers are tumbling. Activision’s vast financial empire is partly built on World of Warcraft subscriptions. So what can Activision do? Here are four suggestions. Expansion launches are interesting: they aren’t just a chance to bring in existing players: the trailers, news, announcements act as a boost for the entire game. World of Warcraft ads pique interest in, not just an expansion, but the game itself. But that big push only occurs once every two years. WoW players jump in for the new expansion, but leave when they start to tire of the end-game. That cycle seems to be accelerating. 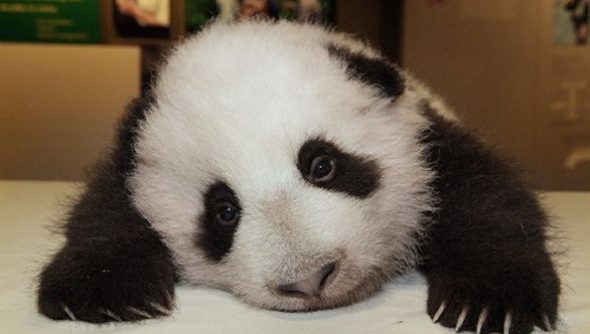 Despite Mists of Pandaria’s improvements and quality, more players have abandoned WoW than ever before. It suggests that the decline is probably irreversible at the current rate of expansion release. Expansion launches are interesting: they aren’t just a chance to bring in existing players: the trailers, news, announcements act as a boost for the entire game. World of Warcraft ads pique interest in, not just an expansion, but the game itself. But that big push only occurs once every two years. Here’s the terrifying thought: in three months, WoW lost 1.3 million subscribers. At the current rate of release. I’d expect a new expansion pack to be announced at Blizzcon, for release late 2014. That’s at least 15 months away. That maths is not pretty. There’s only one conclusion: expansion packs need to start coming out much, much faster. For player numbers within a game to remain stable, new players need to enter and subscribe to the game from the bottom to replace those that cancel. There’s some major barriers to entry for those newcomers: they need to buy the game up front and subscribe; they’ll need to download and patch the client. Previously, Blizzard could rely on word of mouth, recruit a friend schemes, marketing and curiosity to offset the losses: I don’t think that’s true any longer. World of Warcraft’s competition isn’t MMO games. It’s everything else you can play on PC. Here’s an interesting fact: 12 million players play League of Legends every day. Dota 2’s numbers are screaming upwards. Minecraft has sold nearly 11 million copies on PC, and countless more on mobile and console. Diablo 3 sold 12 million copies. Between 2007 and 2009, World of Warcraft was the number one PC game on the planet, and its success was self sustaining. People played WoW because their friends played WoW. That environment doesn’t exist, and will never exist again. Worse: the competition is probably free-to-play. Who’d subscribe to an MMO when you can play League of Legends every night for a year, for free and not get bored? We’ve seen, repeatedly, that MMO games can be successful and reverse their decline if they can manage a transition from subscription game to a free-to-play game. Blizzard have everything they need in place to create a free-to-play version of World of Warcraft: a billing mechanic, test data via pet purchases, a vast mailing list of lapsed players, and a successful 20 level trial. If they’re serious about reversing the player decline, free-to-play has to be on the table. It’s not something I’d ever want to play, but I think it’s inevitable. Levelling a character in World of Warcraft is a ridiculous amount of work. To get from 1-90, and reach the end-game, you’ve got to wade through four expansion packs worth of quests. I love that I’ve played all of that – but I do think it’s a vast barrier for levelling an alt, or joining my friends in the end-game. I’ve often wondered if Blizzard would be brave enough to cut World of Warcraft down to size a bit: resetting the game back to 60 or 70 levels, and giving players a choice of which expansion pack they should level through after the vanilla world. It’s not going to make a vast difference to pulling in new subscribers, but reducing the slog toward end-game might keep them playing for longer. It may be that World of Warcraft is in perpetual decline. That reversing that decline is impossible. In that case, Blizzard need a new game. I don’t think there will ever be an MMO of the scale of World of Warcraft again. The games that compete for its time as smaller, more nimble. Blizzard built a world, and the content to go with it. But the games they’re competing with today, are smaller. World of Tanks, League of Legends, Dota 2, even Minecraft – they don’t come with 1000s of hours of content and quests. They’re more sandboxy, more reliant on players to make their own fun. That’s why I think it’s vital that Blizzard begin to publisher faster, smaller games, and turn them into hits. Hearthstone’s exactly the kind of game I mean; compelling, well presented, and a simple base for Blizzard to expand and develop. I think Blizzard All Stars is too late to really go head to head with League of Legends and Dota 2. Titan could be years away. Smaller games that are given room and support to grow may be the thing that replaces WoW’s vast subscription revenue.